Convicted tax fraudster and PR professional Richard Hillgrove was declared bankrupt yesterday (3 October) after failing to pay a £24,500 personal tax bill. Hillgrove's conviction three years ago came after his business Hillgrove PR failed to pay nearly £90,000 in VAT and PAYE payments between 2011 and 2012. He was given a suspended sentence. Over the past five years, he has been served with a number of demands for unpaid personal taxes, settling these with HM Revenue & Customs through part payment. In August, he was prominently featured in Channel 4 show Catching The Tax Dodgers. Two days after the show, HMRC presented a bankruptcy petition to the London County Court, which asked Hillgrove to appear on 3 October. Having told PRWeek he would struggle to meet HMRC's demand, Hillgrove was declared bankrupt by the court yesterday morning. In a press release sent to PRWeek in which he describes himself as a "PR guru", Hillgrove said: "I hope the HMRC are happy now they’ve got their kill. A family in tatters. A marriage broken. A life in ruins." Hillgrove's bankruptcy is due to last 12 months. Bankruptcy means an individual may have their assets used to settle debts, and they are subject to various restrictions including not being able, without a court's permission, to be a company director or to "create, manage or promote a company without the court’s permission", according to Gov.uk. However, Hillgrove told PRWeek he will continue to operate as a PR, and that current clients include fashion designer Vivienne Westwood and her son Joe Corré. Commenting in the release on his appointment of OJN solicitors to represent him in bringing a civil claim against his former accountant, he said: "Finally, I intend to see justice done. I've been down, but I'm certainly not out. Watch this space." 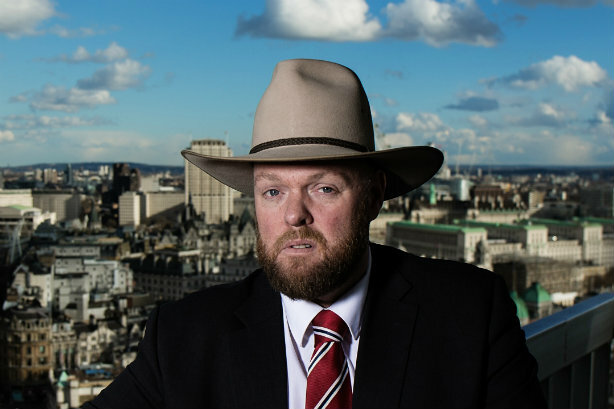 In 2015, Hillgrove also avoided a potential contempt of court charge over his comments toward HMRC following his conviction.